The 2015 UNESCO Chair Oration was delivered by Nobel Peace Prize Laureate Dr Rigoberta Menchú; social activist, author and an internationally-leading voice on Indigenous rights and ethno-cultural reconciliation. “Dr Menchú inspired and challenged her audiences, both at the oration and a workshop earlier in the day, with personal reflections on fundamental ethical questions gained from her life, her struggle, dedicated to justice and reconciliation”, said Professor Fethi Mansouri, UNESCO Chair for Cultural Diversity and Social Justice and the Director of the Alfred Deakin Institute for Citizenship and Globalisation. We question this world and its rules. When we are better with ourselves we can be better to others. One has to always make efforts to be better. You take the decision to be better. One doesn’t live in mid-air thinking we can change the world – rather it’s important to know what this can be done practically. Our way of life creates culture; culture doesn’t create our way of life. Australia has vast spaces to be inclusive and happy, we must remember that what happens to others touches us. We are spiritual beings, we are material beings, we are social beings. Balancing these three dimensions will lead to equilibrium. The event was hosted by Deakin University Vice-Chancellor Professor Jane den Hollander who also found the lecture “inspiring”, particularly the centrality of diversity. “Everything starts with diversity”, Dr Menchú said. Approximately 130 people attended the sold-out event at Deakin University’s city centre campus on Wednesday. Earlier in the day a she led a workshop with students, academics and community members at the University’s Burwood campus. Full video coverage of Dr Rigoberta Menchú’s lecture will be available next week. 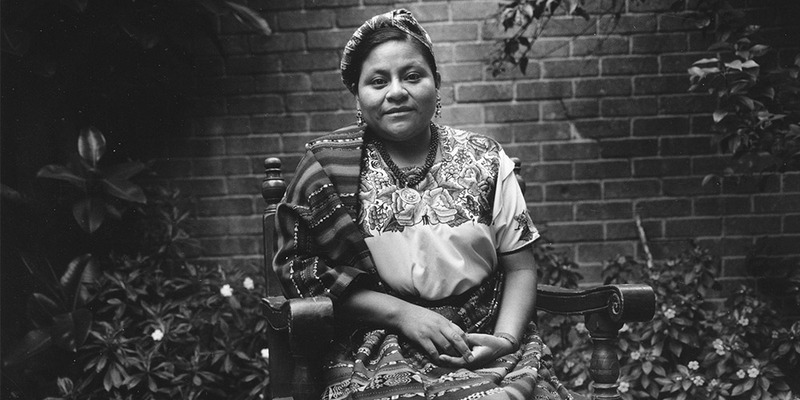 Over the years, Rigoberta Menchú has become widely known as a leading advocate of Indian rights and ethno-cultural reconciliation, not only in Guatemala but in the Western Hemisphere generally, and her work has earned her several international awards, including a Nobel Peace Prize in 1992.